Over the past decade, the number of people undergoing spine surgery in the United States has been constantly increasing. An aging population of baby boomers and advances in imaging and surgical techniques has led to increased patient demand. Chronic back and neck pain can be overwhelming. But is surgery always your best option? As a medical malpractice attorney, I am constantly being contacted by people who have undergone spine surgery and find themselves worse instead of better. The story is almost always the same: the person was in constant pain in their neck or lower back, and a surgeon told them he/she could make it better. Or, did they? Pain is a terrible thing. It consumes people, and starts to control their lives. Most people will do “anything” to make it stop. So, when a surgeon tells a suffering patient “surgery may be able to help you, but there’s no guarantee. In fact, you could get worse.” Many people don’t hear the word “MAY” and don’t want to believe the second part. They just want the pain to stop. They agree to surgery, suffer a complication, are worse than before, and devastated when I am forced to tell them the surgeon wasn’t at fault. It’s just the nature of spine surgery. It is a high risk operation, and they agreed to face those risks. This article is meant to educate the reader about the pain cycle associated with spine degeneration and what can be done to avoid or delay surgery. It is not meant to second guess medical advice. There are certainly cases where surgery is the only option. Loss of feeling in the extremities, bowel/bladder dysfunction, and limb weakness/paralysis are signs of serious spinal cord pathology where there may be no time to spare. But chronic pain, if understood, can (at times) be managed without an operation. To begin, let’s take a look at a typical case. 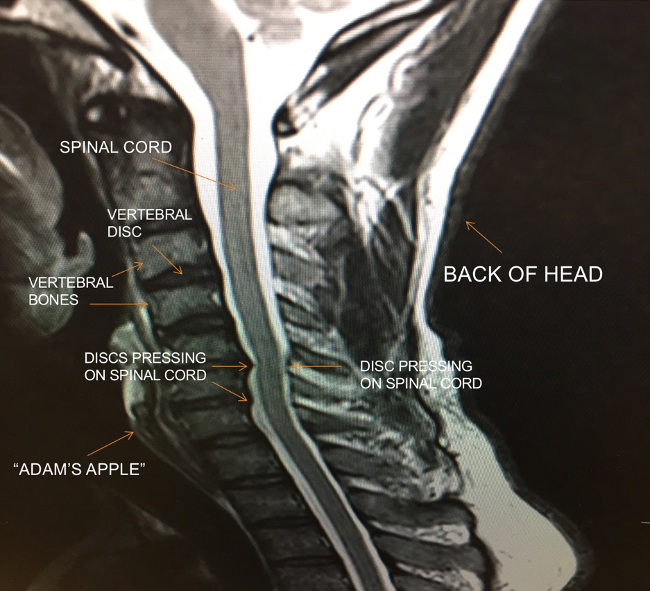 The image below is one slice of an MRI of the cervical (neck) part of the spine. Imagine looking at someone from the side while the person faces forward. On the lower left, you can the bottom of the jaw bone and the Adam’s apple. The dark line running down the center is the spinal cord. You can see indentations along the spinal cord being caused by vertebral discs that have “slipped” or “bulged” out of position. The pressure on the cord may cause disruption of blood flow to the cord. Or, it can disrupt the electrical transmissions running up and down the cord. Or, it can do nothing at all. The malposition of the discs can cause loss of spacing between the vertebra. This can create pressure on the nerves that leave the spinal cord and run through small spaces in the bones. This pressure creates inflammation, which causes the affected nerves to send signals to the body to protect the area. Unfortunately, that protection can come as a hardening (spasm) of the muscles around the site. This leads to more pain and stiffness. Each time the nerve(s) is (are) pressed, more inflammation, more spasms, more pain. It’s a vicious cycle. The patient depicted above was complaining of severe neck pain and stiffness. Nothing seemed to make it better. Therefore, the patient was offered a procedure called a “three level fusion” by two different surgeons. Both surgeons were careful to advise the patient that there was no guarantee the surgery would eliminate his pain. The image below shows the end result of a three level fusion surgery. In a three level cervical spine fusion, the patient’s neck would be opened. 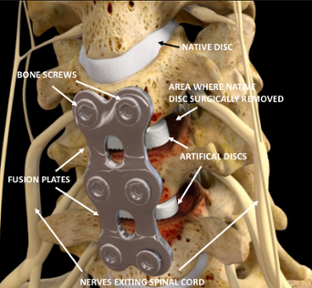 The “bad discs” would be drilled out and replaced with artificial spacers, and the vertebrae fastened together with plates and screws. This should stabilize the neck bones and take pressure off the affected cord and/or nerves. If it works, the patient MAY experience a reduction/resolution of the pain cycle. For this chance at relief, the patient must be willing to take some significant risks. In 2010, Dr. Rani Nasser and several other noted surgeons published an article in the Journal of Neurosurgery analyzing the incidence of complications from spine surgery. Dr. Nasser concluded that of the 79,471 spine surgery patients reported in the literature, 16.4% suffered some type of complication. Complications associated with spine surgery are: loss of vision, malignant hypotension, paralysis, peripheral nerve damage, stroke, permanent pain, loss of voice, infection, loss of bowel and bladder function, loss of sexual function and death. It is important to understand that not all of these complications come with a 16% incidence rate. Not even close. But, it is important to your decision making to know the risks and their incidence. That way, you can make an informed decision that is right for you. After all, we are talking about surgery on/near the nerve superhighway that controls everything the body does. It makes sense to try to avoid it if at all possible. That’s where someone like Jennifer Balducci can help. 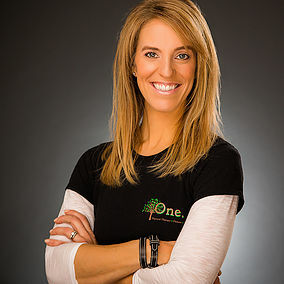 Jennifer is the owner and operator of One Physical Therapy in Annapolis, MD. She holds a Master’s Degree in PT, and is certified in Mechanical Diagnosis and Therapy. Her specialty is helping people find ways to address their pain and functional deterioration without orthopedic surgery. If you have no choice but to sit, by all means, DO NOT sit in a slumped position. We have normal curves in our spine that are protective in nature, if you sit and allow those curves to reverse, you are causing damage to your spine. 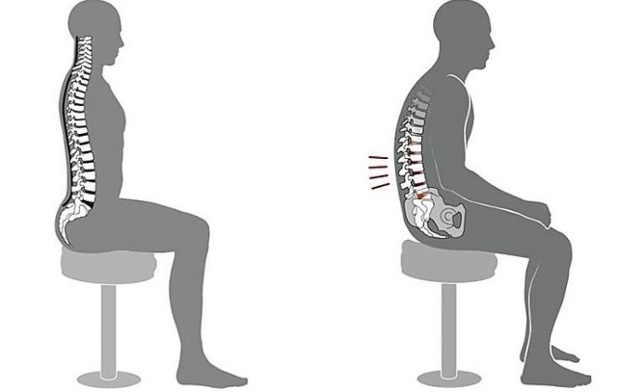 The best way to prevent the reversal of curve is to use a lumbar support when you do sit. When people think of strengthening the spine, they think of sit-ups. This is one of the worst ways to strengthen the spine, think instead of activity that keeps your spine in a more unloaded position. Planks, side-lying planks and Pilates exercise are some of the best ways to strengthen the spine while avoiding undue stress to it. Avoid any activity that adds extra weight to your spine, for every pound you carry, it puts 10 pounds of pressure on the spine. So if you are carting around a 5 pound purse, that is 50 extra pounds of pressure on your discs/joints. Same goes for that extra weight you put on, or lifting groceries. If you are in pain, try to minimize the amount of weight you lift. Not all physical therapists are created equal, just like there are good and bad doctors, same goes for any profession. If you have tried physical therapy in the past and it didn’t work, try again. To find a PT near you that is certified in the treatment of neck and back pain go to McKenzie Institute. A good PT will have modalities and exercise to help you eliminate your pain. Foam rollers, mechanical traction, self mobilization tools and things like the Lightforce Class IV cold laser can make the difference in return to function vs. permanent disability. Again, there are cases where surgery is necessary to save body function. You should always consult with your doctor and listen to his/her advice. But, knowledge is power. And the more you know about your possible options, the better you will be about making critical health care decisions. If you or a loved one has had a three level fusion surgery and suffered loss of vision, malignant hypotension, paralysis, peripheral nerve damage, stroke, permanent pain, loss of voice, infection, loss of bowel and bladder function, loss of sexual function, contact us IMMEDIATELY.